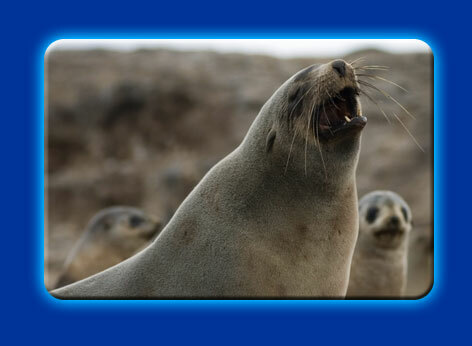 An Australian Fur Seal calls in a sort of moan that sounds something like a sheep's call. Each seal has a unique call and cows can recognise their pups call. When a cow arrives back at the colony, she calls out to attract her pup. Many pups will think her call sounds close enough and call back to the cow ('please give me some milk'). If the cow thinks a pup that is calling might be hers, she will give it a sniff. From it's unique smell, the cow can be certain which pup is hers. A mother can find her pup amongst thousands of others.